Buildings that save and produce energy, intelligent traffic, land without landfills and turning waste into a resource, rethinking the entire energy system using the energy of the sun, the water, the earth and the wind. Future, which is now turning into present. What are the technologies that are environmentally friendly and increase efficiency and competitiveness, shape new patterns of consumption and production? Contrasts in regard to sustainable development in various countries are large and South-East Europe is still at the beginning of this transformation. 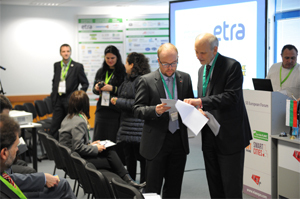 From 5th to 7th March Sofia will host the annual Forum and Exhibitions "Energy Efficiency and Renewable Energy" (EE & RE), "Save the Planet" (waste management and recycling), "Smart Cities" and "LiftBalkans" (elevators and escalators). In the context of global trends the Organizer Via Expo constantly expands the theme of the event. It is expected that by 2050, 79% of mankind will live in cities, thus increasing the demographic pressure on them. The investment activity in the field of the green construction will be even more notable due to the low operating costs and the high comfort of living achieved as a result. Smart mobility and synergy between the various communications are the key to build a vision of cities without diesel fumes and traditional transport. Lifts are an integral part of the buildings, but this topic has long been neglected and the event will allow the companies in the industry to use the exhibition as a platform to present their new products and services. The Bulgarian President Rosen Plevneliev sent a welcoming message on the occasion of the Exhibition and Forum for South-Eeast Europe and stressed the need these topics to raise more public awareness, as they are the key to a faster and more sustainable growth of Bulgaria and the other countries in the Region. Jos Delbeke, Director General for Climate Action at the European Commission, evaluated the event as a positive sign and called for wider application of practical solutions for clean energy, green cities and buildings with better performance. 46 speakers from all over Europe will participate in the event program. ● ‬European Waste Management Day. Organized by the Association of Cities and Regions for Recycling and Sustainable Resource Management (ACR +) and the European Network of Environmental Professionals (ENEP). Currently the Program Framework for EU funding for the period 2014-2020 is being elaborated in Brussels. This forthcoming program period opens new perspectives for the Bulgarian municipalities to benefit from financing and from foreign experience. The speakers at the Forum will discuss strategies for waste reduction and recycling through examination of the materials’ hierarchy. ● Smart Cities: Europe and the development of innovations in smart cities and communities, buildings with almost zero energy consumption (nZEB), smart city management - theory and practice in the sector, energy and environment management systems, green roof gardens. ● Intelligent Mobility - smart street lighting, efficient management of junctions, adaptive control systems, parking, telecommunications from ETRA R and Swarco. ● Centralized Heating and Cooling in Europe. The speakers will present "European Heat Roadmap", how to use waste for combined production of power and heat, renewable energy in district heating, the advantages of EQTEC technology in gasification and more. ● Waste to Energy. Prospects for the development and realization of projects for energy production from waste in South-East Europe are very promising, the best option being the public-private partnerships. They are a modern approach to the implementation of infrastructure projects, through them a significant investment of private capital is being made without straining the state budget. ● Elevators. Presentation Topics: Application of the new Lift European Directive, Lifts’ Electricity consumption, lifting equipment, legal framework under European Machinery Directive - 2006/42/EC, technical supervision, conformity assessment and surveillance of the lift market in Bulgaria. ● The presence of 17 companies within the Austrian pavilion shows the enormous potential that Bulgaria can offer to foreign investors. Austria's eco-industry generates annual revenues of € 10.6 billion and employs approximately 87 000 people. ● Direct exhibitors from 18 countries - Austria, Belarus, Bulgaria, Germany, Greece, Denmark, China, Italy, Poland, Romania, Russia, Slovenia, Turkey, the Netherlands, Ukraine, Czech Republic, Sweden and Switzerland. ● Within the EE & RE area the visitors will get acquainted with technologies for optimization of energy consumption, systems for the production of solar-, wind-, geothermal- and hydropower. The Organizer Via Expo announces a large number of companies working in the field of bioenergy and they will demonstrate technologies for utilization of bio-waste from agriculture, forestry and animal husbandry, which undoubtedly has environmental and economic benefits. Waste has high energy value and several companies will promote their experience and know-how in this field. ● Systems for building automation and control, ICT, telemetry and telematics, energy efficient lighting, heating and cooling, are suitable solutions for the realization of projects for residential, public and industrial buildings. ● A trend that stands out is the interest in e- mobility and transport: the conversion of vehicles with gasoline engine to electric vehicles, charging infrastructure, light-reflective materials for street marking, LED traffic lights, controllers, traffic control stations. ● Dynamic changes are seen also in the vertical transportation - elevators and escalators are becoming more reliable, faster, more economical and with elegant design. ● In the area of waste management the visitors will see equipment for waste treatment, disposal, collection and recycling. Composting is becoming a more accessible approach for reducing organic waste by 40% and for obtaining quality composts. ● Parallel seminars, product presentations of exhibitors and b2b meetings will be held during the time of the exhibition. The event organizer aims to help finding answers to some of the most important challenges which we face today and to bring together representatives of the public administration, business and society in order to achieve the building of a cleaner future. 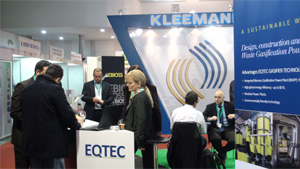 Let us hear the experts and take a closer view of the latest innovations from 5th to 7th March in Sofia.